In case you missed it! I'm attending the Whole Brain Teaching Workshop in West Memphis, Arkansas. Yesterday I posted about some of the things I learned in Day 1, but there was just too much to cover! Today I'm going to wrap up what I learned during Day 1 of the workshop. Don't forget, every student should have eyes on the teacher and hands clasped and in lap when they say the call back! 75 variations of "Class - Yes"
"Hands, Hands, Hands, and Eyes"
Mirrors aren't just for teachers to use! Students should require listeners to use mirrors when they are speaking too. *Big thanks to Amy Groesbeck for the awesome posters! Download them at her store. Okay! On to the rest of the goodies from Day 1! How Do We Motivate Students to Work Hard? We motivate students with the Scoreboard. This is your behavior management system. Live it, love it, use it. 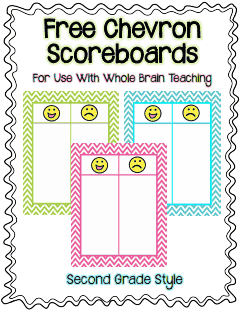 You can grab these super cute scoreboards from Second Grade Style on her Blog. The purpose of the Scoreboard is to reward or take points away based on student behaviors. To earn a smiley face students should be exhibiting behavior at least 2 grade levels above their grade, or at least made to believe they are! But you always want to remember the +/- 3 Rule. You never want your class to be up or down more than 3, so this is where you may end up "creating" good behavior or possibly bad behavior to keep them on their toes. I know, making up bad behavior...seems weird? Coach B swears by it, and if he says do it, I'm doing it! I have drank the Kool-Aid and I am on board the WBT bandwagon! So, as Coach B is going on about the Scoreboard I will be honest...the only thought in my mind is how in the world is this going to keep the kids going? There's no tangible reward at the end of the day other than a "good job!". Here's Coach B's advice...when a student asks, "What do we gettttt!?" here's your response..."What do you get at home when you beat a video game? Does Mom buy you a present, no way! You get the satisfaction of winning! Bragging rights! You beat me!" It was then that I realized how smart that sounds! Who knows how it'll work with my second graders this year, but it sure is worth a try. 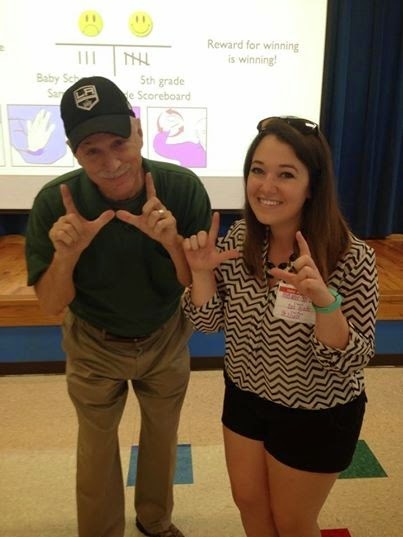 Watch how this teacher introduces the Scoreboard in her classroom. Coach B suggests that we milk the traditional, simple, Scoreboard with no rewards for as long as we can! When they get antsy, we ask them if they want to learn about Level 2?! But of course, we make them work for it! Here's a brief explanation of the variations of the Scoreboard. Level 1 - Basic Scoreboard, Reward for Winning is Winning! Level 2 - Basic Scoreboard divided into Boys Vs. Girls, Reward for Winning is lining up first! To read more about the Scoreboard check out the WBT Website. How do We Teach Common Core Language Arts and Math Concepts? We do this with the 5 step lesson plan of course! We spent A LOT of time practicing this and I still think I will utilize the three-column template (we'll talk about that more later). Remember yesterday, when we talked about spending too much time talking, and we're losing our kids? Still true. We need to keep our teaching moments down to 2 sentence increments before asking students to turn and teach their partner. 1. Question: Ask a question. 2. Answer: Give an answer with a gesture. 3. Expand: Expand the answer with examples and details. 4. Test: QT Test for comprehension. 5. Critical Thinking: Employ critical thinking skills (usually writing). Now...for all the nitty-gritty details, added today by Coach B of course! 1. Question: Ask a question. Don't ask for prior knowledge, it's a waste of time and half the time it's wrong. Don't start a fire, just start teaching! Questions could be, "What is a verb? What in the world is a verb?" Make sure to say it twice with gestures. Then teach-okay! students should mirror your words and gestures with a partner. Use an attention grabber to call the class in before moving on to step 2. 2. Answer: Give an answer with a gesture. Give the answer, but only teach 1 thing at a time. Never introduce two concepts at once. Remember, no more than 2 sentences! Then teach-okay! students should mirror your words and gestures with a partner. Use an attention grabber to call the class in before moving on to step 3. If you need to repeat step 2 and give more answers, go for it...just only teach 1 thing at a time! Continue teach-okay! until you're ready for examples. Use an attention grabber to call the class in before moving on to step 3. 3. Expand: Expand the answer with examples and details. Do exactly what it says! Give examples, but no more than 1 at a time. Then teach-okay! students should mirror your words and gestures with a partner. During this step you can also use sentence starters and have students fill in the blank to practice with a partner. During this time, you should monitor the classroom and listen as your students teach each other. Use an attention grabber to call the class in before moving on to step 4. 5. Critical Thinking: Employ critical thinking skills (usually writing). Only move to step 5 when your students have it! Usually this will be some kind of writing to prove that they know it. You can also use oral writing strategies with your Brainies (more on those tomorrow)! If you're a visual person...I don't blame ya, check out Chris Biffle's video below. What in the world do you do when you're out of the classroom and you have a sub? What if the sub doesn't know all of this stuff? In my mind I'm thinking...EVERYTHING IS RUINED! WE'RE DOOMED! But Coach B assured me that that is not the case, thank goodness. He says, a sub should NEVER EVER teach new information. Just plan for your sub to review what you've already taught. He says to make sure that your sub understands the 5 rules, Class-Yes! and Mirror Words. I found this fantastic cheat sheet on WBT for substitute teachers. You better believe it's going in my sub tub! Whole Brain Teaching "Cheat Sheet"
Whew! That was a lot to cover (again), but we learned more. Come back to the blog tomorrow to learn more about using WBT with writing! All of this information can be found on the Whole Brain Teaching Website. 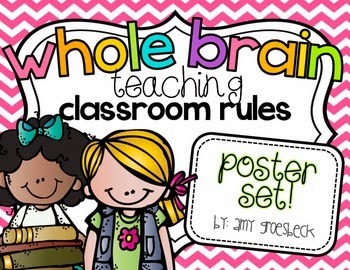 What's your favorite part of Whole Brain Teaching? Let's hear your success stories! I am so excited after leaving my first day of the Whole Brain Teaching Workshop. Chris Biffle (in the flesh) was the presenter, and he was AWESOME! It's so amazing that all of the resources are FREE including tons of internet resources. Throughout this post I'm going to try to sum up what we learned today and share some strategies you can implement in your classroom. This is going to be a long one, so strap in! How Do We Seize Students' Attention? 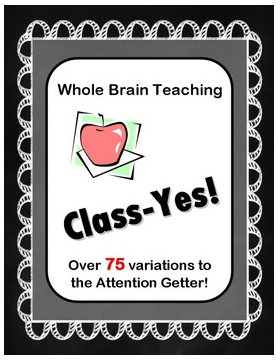 If you know anything about WBT you have probably have heard of "Class-Yes". This can be used whenever, wherever, to get your students attention. The most important thing we added to this today is to train your students to have their hands in their laps, clasped, when they say "yes". This get's their body ready to listen to what you have to say. In addition to "Class-Yes" we learned "Class-Boom" and Core Knowledge-Yes. These two new attention grabbers can be kept in the back pocket, for special occasions, when you really need to switch things up and grab their attention! "Class-Boom" goes like this...you say "Class-Boom" and clap hands together on 'boom'. Then, the kiddos respond with "Yes-Boom" and they too, clap hands together & place in lap on 'boom'. This is a good way to get your students really used to clasping their hands together to get their bodies ready to listen. Finally, Core Knowledge-Yes is a simple yet genius idea! You yell out a question, a fact, a something that your student's should know. "What is 5x5?" Your student's will respond, "5x5 is 25!". Chris Biffle (Coach B) said the reason our kids struggle is because they don't get enough reps, not enough practice. Why not use every precious moment we have to practice our learning? How Do We Emphasize a Big Point? While we're on the topic of attention grabbers, let's talk about how we get students' attention when we need to emphasize a BIG point. Instead of the normal "class-yes" we will say "Hands and Eyes" students will mirror this making sure to focus their hands and eyes on us...wherever we are. This is what Coach B says is our front pocket move, it can be used all the time. When you need to pull something out of your back pocket, you REALLY need their attention you say, "Hands, hands, hands and eyes!" Students will mirror this again and get their bodies ready to listen. How Do We Achieve 100% Student Engagement? "The more we talk, the more students we lose." -Coach B. That was what really stuck with me today. As teachers, we love to talk, duh that's why we're teachers! But we need to stop. Coach B told us today that we should try to chunk whatever we're saying in 2 sentence increments, no more! You'll lose 'em! We need to engage students' whole body when we teach so this is where Mirror Words, Silent Mirror, and Magic Mirror come into play! Mirror Words is your front pocket move. You'll want to use this one the most. But, as always, you need to switch it up...keep them guessing! Silent Mirror and Magic Mirror are your back pocket moves. Silent Mirror is just like it sounds, silent. Your students will mirror your motions as you talk, but they should not repeat your words. Magic Mirrors...Oooohh! is a fun one! You, the teacher, speak with your hands behind your back. As you speak, your students will repeat you AND create their very own hand motions to go with what you're saying. Your mind is going to be blown, watch these 3rd graders. Watch as they use Mirror Words when speaking to the class. Can you find a single disengaged kid? I can't. Mirrors are not just for teachers teaching, your students should use them when they are speaking too! What Are 5 Powerful Classroom Rules? This is the last essential thing you need to start your year with WBT. Master these and sprinkle the rest in later. 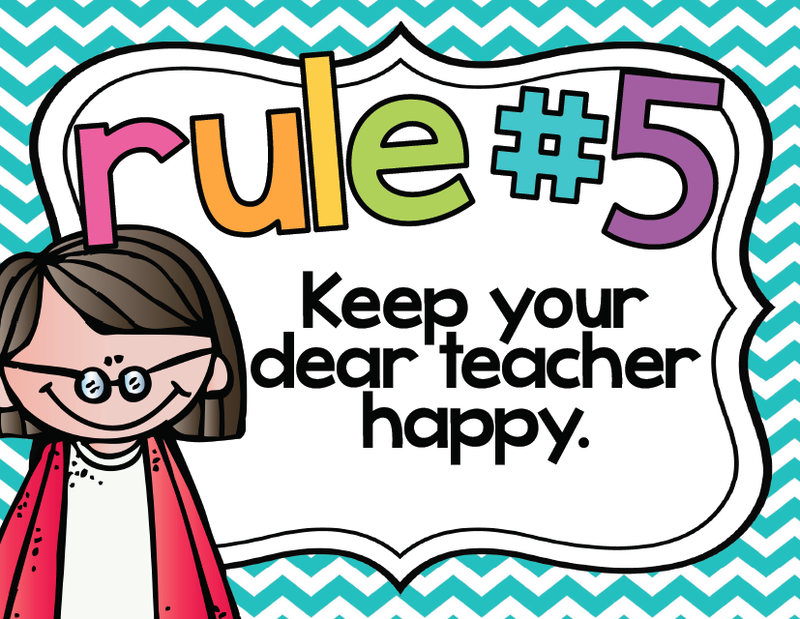 Rule 5: Keep Your Dear Teacher Happy! 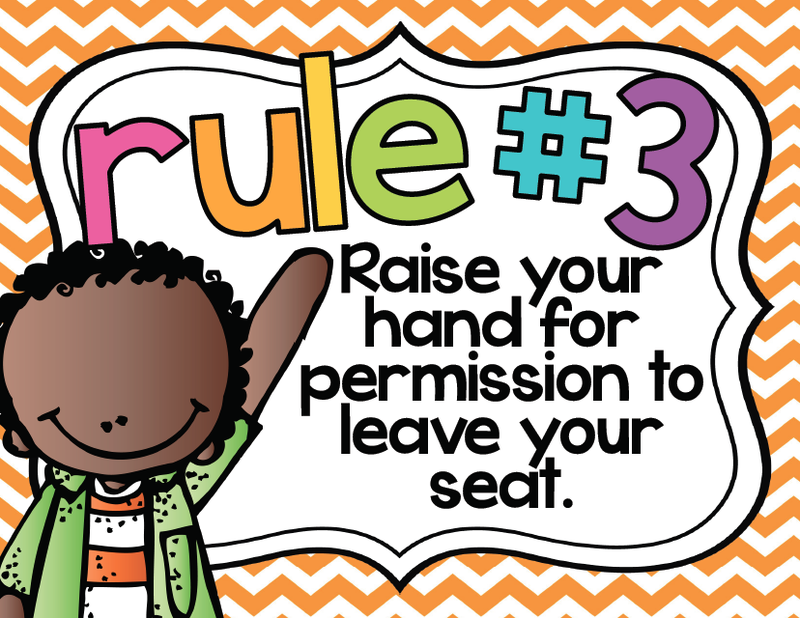 You better believe there are gestures to go with your classroom rules. Learn them by watching below. 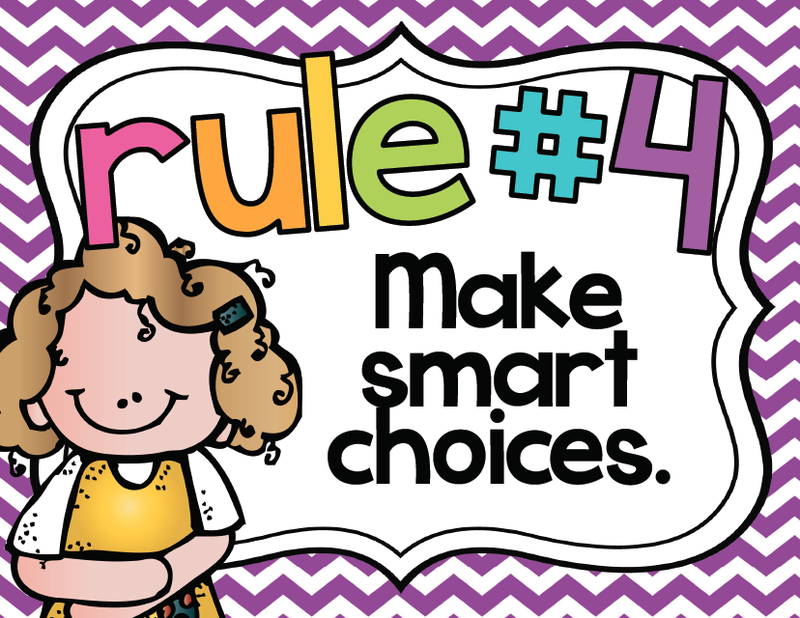 I got the cutest set of classroom rule posters here! Okay, back to business. Coach B says that when you're teaching the rules you should practice 5 times a day! Anddd that you need to practice the wrong way followed by the right way. This is important for students to see. Here's my absolute favorite part of the whole rule procedure! Let's say you, the Almighty Teacher, are talking and one of your friendly students forgets to raise his hand and blurts the answer right out! (like that ever happens?) You simply say rule 2 and gesture a 2 in the air. Your entire class will repeat rule 2, showing and reminding that student of the correct procedure. I love this because everything is a learning experience. 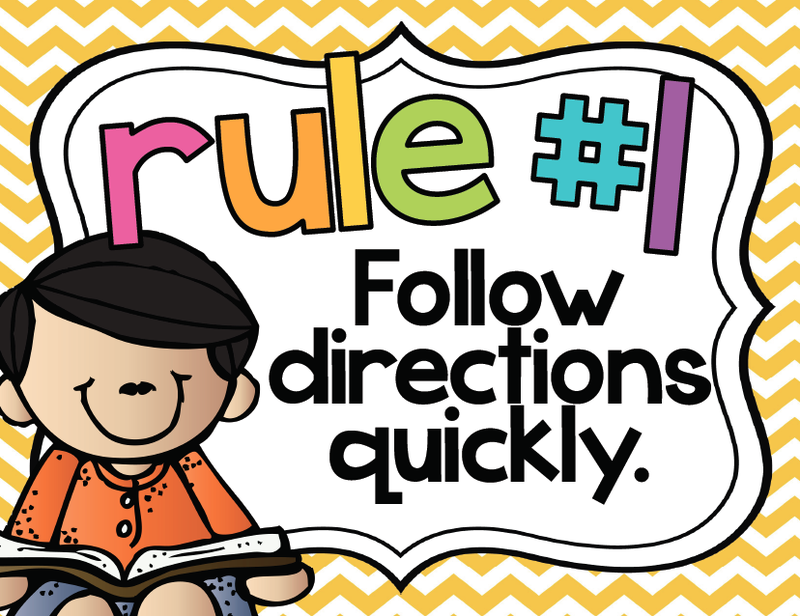 Your students are helping each other to learn and reinforce the classroom rules. 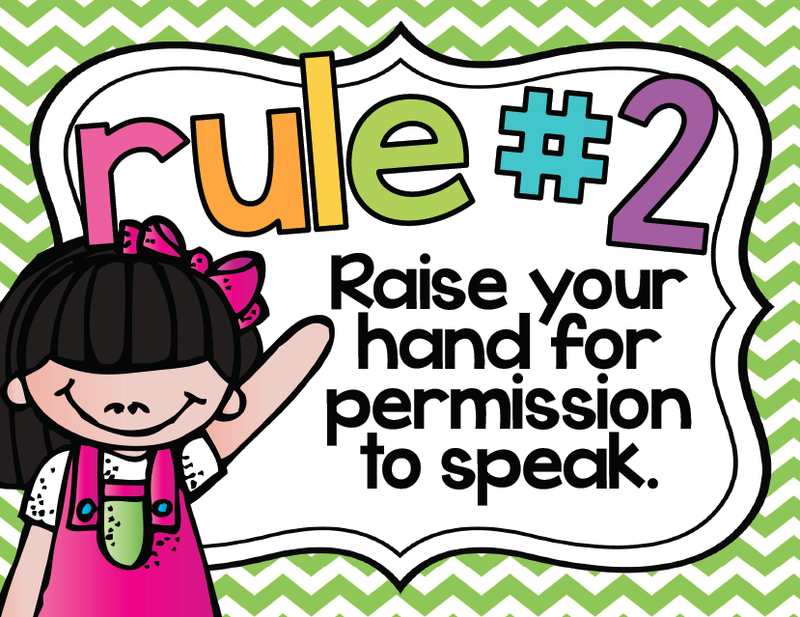 You can gesture any of your rules and teach your entire class to recite them when necessary. My favorite was when Coach B said if you have a student who loves to talk back, rather than responding to him or her, just hold up your 5 fingers and say "Class, What's Rule 5?" Your students will rattle off "Keep Your Dear Teacher Happy". Coach B says that your disrespectful students won't like to be working against his "homies" and his "homies" have your back as the teacher. With luck, that disrespectful student will join his "homies" and support you too! Whew! That was a lot to cover, but we learned more. Come back to the blog tomorrow to learn more about the Scoreboard, the 5 Step Lesson Plan and what to do when you have a Sub!